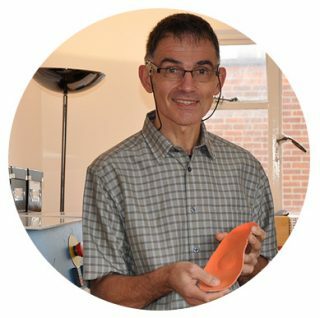 Trained in Lyon, France I have 30 years of practical experience in gait, biomechanics and making orthotics. In that time I have worked with many sports professionals and cared for many more people whose condition required a thorough assessment and the provision of unique custom orthotics. During my 30 years experience I spent 6 years working in the Research and Development of SIDAS France (Con’formable, Podiatech). SIDAS is a leader in sports podiatry, specialising in the use of advanced moulding technologies and heat sensitive materials. My work at SIDAS gave me the opportunity to work closely with numerous elite athletes from a wide range of sports as well as the doctors, physiotherapists and health professionals supporting sports teams and individuals. It allowed me to develop my own unique techniques and approach, finding the best solutions for optimum performance, comfort and stability. This are at the heart of the work I do today. Christophe is a fully qualified French podiatrist, having graduated from the ‘Institut National de Podologie’ in Paris. He played rugby for 12 years and spent the last 3 years playing at National level for the Racing Club de France. Christophe has gained his experience working in Toronto, Dubai and Monaco, specialising in lower limb assessment and treatment. Christophe has now chosen to move to London on a permanent basis to join Norbert at Foot Factor.